A perennial for semi-shade. Height 40-60cm. 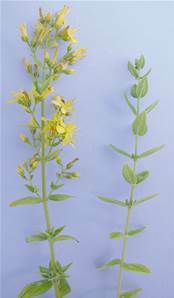 Pale yellow flowers with black glands on sepals and petals July-September. A native of woodland and scrub land usually on damp soils.